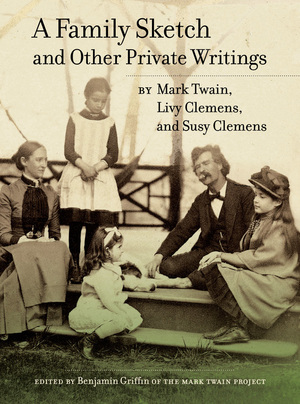 This book publishes, for the first time in full, the two most revealing of Mark Twain’s private writings. Here he turns his mind to the daily life he shared with his wife Livy, their three daughters, a great many servants, and an imposing array of pets. These first-hand accounts display this gifted and loving family in the period of its flourishing. Mark Twain began to write “A Family Sketch” in response to the early death of his eldest daughter, Susy, but the manuscript grew under his hands to become an exuberant account of the entire household. His record of the childrens’ sayings—“Small Foolishnesses”—is next, followed by the related manuscript “At the Farm.” Also included are selections from Livy’s 1885 diary and an authoritative edition of Susy’s biography of her father, written when she was a teenager. Newly edited from the original manuscripts, this anthology is a unique record of a fascinating family. Benjamin Griffin is an editor at the Mark Twain Project, which is housed within the Mark Twain Papers, the world’s largest archive of primary materials by this major American writer.